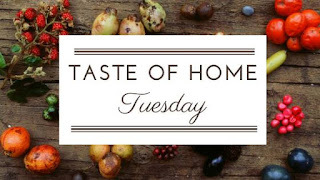 Today is the Taste of Home Tuesday Choctober celebration! Yes! After a whole week of Chotcoberfest fun, I’m back again with more chocolate, because really, is there such a thing as too much chocolate? It keeps the dementors away. Or well, makes you feel better after a dementor attack at any rate. 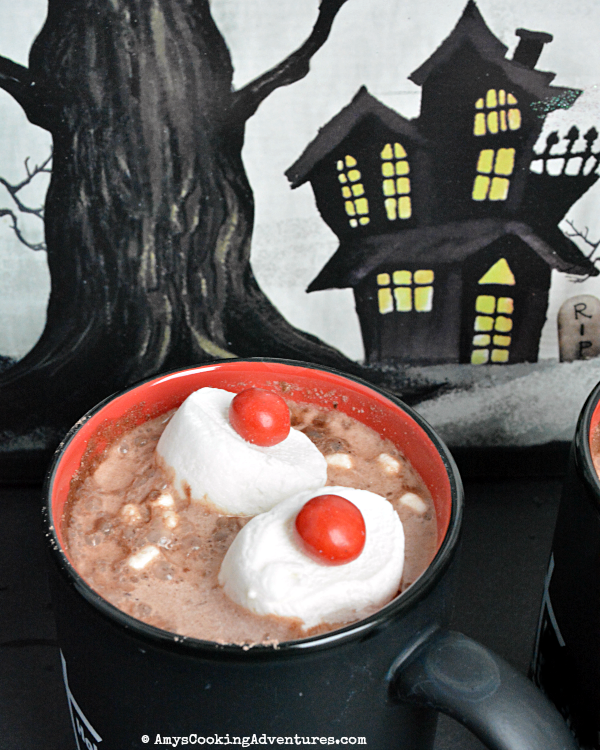 Since it’s almost Halloween, I wanted to make a chocolaty, Halloweeny treat for the kids! 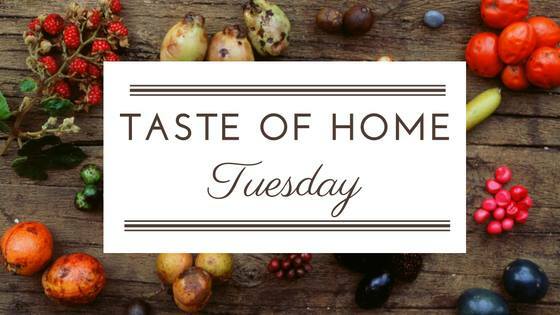 The boys got a kick out of the “eye balls” – plus this is super easy to make! I’ll definitely be making this spooky drink on Halloween! Mix the hot chocolate per package instructions. Cut the marshmallows in half and press one M&M onto the sticky side of each marshmallow. 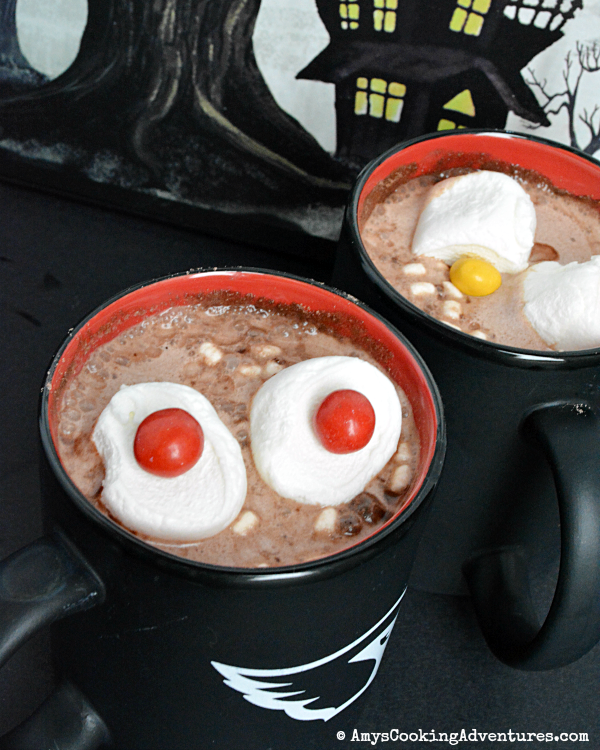 Float the marshmallow eyes on the hot chocolate and serve. 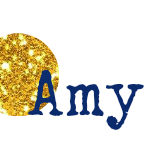 Very cute Amy. I missed Choctoberfest this year. My kids will think this is so awesome! This is one adorable idea and a great drink for the kiddos after a night of trick or treating! I'm in favor of any method that keeps dementors away! This drink looks so fun. I'll have fun trying this with my son!